Marc’s passion is to help organizations strengthen the effectiveness, impact, and durability of their actions so they can better prepare for a variety of changes in a noisy, interconnected, and complex world. He thrives when working with solutions-oriented clients and partners facing problems that are complex, high stakes, and contentious. We see many of these types of problems in the news: stories involving the impacts and disruptions of extreme events associated with climate change or headlines noting the increasing profile, stakes, and conflict underlying large human development projects. His work involves combining people-centered skills, which include facilitation and participatory engagement, with a strong technical foundation in ecology and deep experience in systems analysis. In applying these skills he undertakes policy research, prepares management plans, develops behavioral and heuristic frameworks to support decision making, assesses environmental risks, identifies opportunities to mitigate or adapt to environmental risks, and facilitates priority setting within groups. His strong technical skills and understanding have been developed by working in a diversity of terrestrial, freshwater, and marine ecosystems across North America. He has enabled improvements in polar bear tourism along western Hudson Bay in the context of climate change and increasing pressures from the local community, served as the principal investigator as part of a federal judicial inquiry studying the influence of historic changes in freshwater ecosystems on declines in Fraser River sockeye salmon, assisted in the prioritization of biodiversity monitoring needs in the oil sands of northern Alberta, and supported development of an Adaptive Management plan to balance ecosystem and human needs for water on the Missouri River. Likewise, his facilitation and engagement skills have been developed over many years with a diverse range of audiences: members of local communities, stakeholder representatives, scientists, decision makers, and policy makers. He has engaged members of local communities to understand their vulnerability to climate change and opportunities for adaptation, worked with local partners to support engagement of stakeholders in developing a heatwave management plan for Karachi, Pakistan, facilitated a group of scientists from Canada, the United States, Korea, Japan, and Russia to help define the scope of an international research program for the North Pacific, and he recently co-facilitated a national and intergovernmental forum to determine policy priorities for Canada on how it can best prepare for the impacts of climate change. Marc regularly speaks to external audiences including large stakeholder fora, conferences, and as an invited university guest lecturer. He often conducts reviews for journals and provides technical reviews of the work of his peers. Moreover, he has led high profile research assignments receiving media attention and participated in public hearing processes. 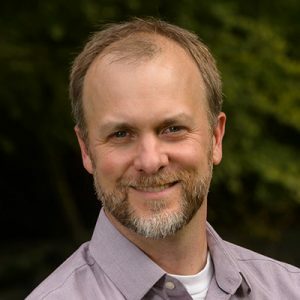 He has published dozens of informative, policy-relevant reports, been lead author on articles published in a range of science journals, and published a book chapter describing approaches and case studies to elicit the judgments, preferences and values of different stakeholder audiences for environmental decision-making. Marc holds a B.Sc. in Ecology and Environmental Biology from the University of British Columbia and a Master’s of Resource Management from Simon Fraser University. He is also a Registered Professional Biologist with the British Columbia College of Applied Biology. Outside work, Marc enjoys spending time with his family and friends which includes exploring the city, discovering nature, and camping with his young kids throughout the beautiful Pacific Northwest.